Melbourne Victory head coach Kevin Muscat feels his side are not going to have an easy turnaround following their fourth draw of the season in a 1-1 stalemate versus Brisbane Roar on Saturday night. The Victoria-based have gone winless for the first six games of the campaign, and this sees them ninth in the standings with just four points, 10 adrift of league leaders Newcastle Jets. 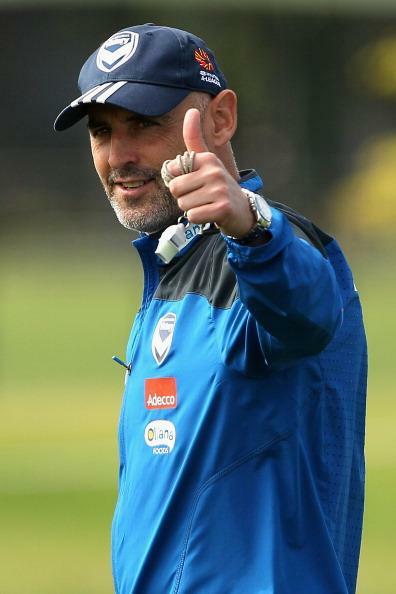 Speaking after the game, Muscat hoped to get the likes of James Troisi and Mark Milligan available for the weekend game versus Perth Glory after their international exploits for Australia. Konstantinos Barbarouses is another doubt due to his participation for New Zealand against Peru in the inter-confederations play-off, and he could find himself jet-lagged prior to the Perth encounter. In the aftermath of the match, Muscat said: “It’s dangerous to just assume things are going to turn around. I don’t think we’re out of the woods in terms of getting everyone back. But, when you hand-pick four or five players out of any team in the league, I daresay it would be difficult for them. That’s why, if anything, I was gutted for the group (on Saturday night) because the mainstay of that group had been there for every game this season and had worked so hard under the circumstances. Three points would have rewarded them.” The bookies clearly knew something fans didn’t, as they offered double-digit odds (even without having a bonus code) on Melbourne falling short. Melbourne Victory finished as runners-up to Sydney FC in both the regular season and final series last term, but their form has not been on the mark this campaign with key players leaving for international duty in between. As a result of last season’s efforts, Melbourne Victory will make their bow in the group stage of the Asian Champions League in mid-February, and Muscat will be hoping for a change of fortunes in the coming months to make progress in the elite competition.